As parents we want to use the best baby care products for our precious little ones. You may even be in a situation like me where my son has extremely sensitive skin so we’ve found our options for bath wash, creams and lotions are very limited. I was recently introduced to Arbonne. A Swiss-based company, Arbonne promotes botanical and herbal organic ingredients as the foundation of it’s product line, which focuses on skin care and cosmetics. 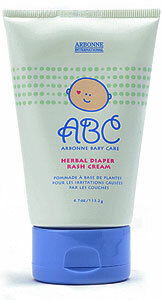 For our growing family I like the ABC Arbonne Baby Care line which consists of a Hair & Body Wash, Body Lotion, Herbal Diaper Rash Cream, Body Oil and a SPF 30+ Sunscreen designed for children from birth to age 10. My favorite part of the collection is that they are chemical free, dye free, all natural and they actually work to clean a messy toddler. Arbonne is committed to the development of unparalleled products free of harmful ingredients, using a combination of botanical principles and scientific discovery. Their commitment begins with research and testing to ensure that each of their ingredients meets or exceeds industry standards for purity. Plus, Arbonne products are vegan-certified: Their formulas are never tested on animals and do not contain animal-derived ingredients or animal by-products. The baby Hair and Body Wash is a gentle, ultra-mild, tear-free cleanser for hair and delicate skin. It’s designed to help replace the skin’s natural oils, even as it cleans, moisturizes and conditions. The body wash was easy to use, and features a convenient cap which allows it to stand and easily that flips open when you’re ready to use it. Simple to use, I found that we got a nice lather and it washed off easily without leaving a film. The Herbal Diaper Cream was good… it was creamy enough to apply easily, but thick enough to do the job and protect. It featured the same easy flip top and the size was perfect for taking on the road. I’ve also been advised by one of my friends that she and her husband use the diaper cream for chapped lips and it apparently works great! The Body Lotion is designed for delicate skin in a way that it soothes, softens and conditions skin, while helping to reduce redness and irritation. The Body Oil is developed to restore baby’s skin with essential moisture from sunflower seed oil, jojoba seed oil and shea butter. Finally, the Sunscreen SPF 30+ is formulated with antioxidants vitamins A, C and E and gentle botanicals, this sunscreen is PABA-free, pediatrician and dermatologist tested. As a bonus for those of us who are “earth friendly”, Arbonne is all about being green! From botanically based ingredients to forward-looking green improvements, being earth friendly has everything to do with who they are and how they choose to grow. They are taking “pure, safe and beneficial” to the next level through their efforts to match the purity of their ingredients with the earth friendliness of their packaging. So what’s good on the inside is also good on the outside!! If you’re interested in purchasing any of these products or want to check out some other great products (including ones for Mom AND Dad) check out their full product line here. As a bonus if you’re an avid shopper consider becoming a preferred client so you get 20% off, get access to special offers and if you spend $180.00 on your first purchase you get a $100.00 free gift!